Super secretive startup Magic Leap has finally made its One mixed reality headset available to buy and it doesn't come cheap. But then, we had a feeling it would be on the expensive side. As a reminder, the Magic Leap One Creator Edition is aimed at developers and you can buy one from the Magic Leap website (if you live in the US), with prices starting at $2,295. To put that into perspective, Microsoft's HoloLens developer model came in at $3,000 so it's at least a little bit cheaper. 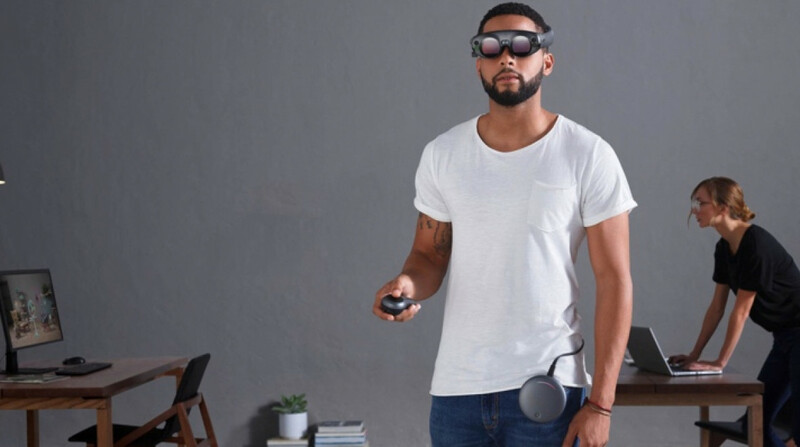 That sizeable financial outlay will get you the Magic Leap One Lightwear goggles, Control, Lightpack, a one-year limited warranty and an optional shoulder strap. In terms of specs, the Leap One is being powered by an Nvidia system-on-chip tech, with 8GB of RAM and 128GB of storage. The built-in battery will give you up to 3 hours of continuous use with Wi-Fi, Bluetooth and USB-C connectivity. There's on-board speakers and a headphone jack to plug in your cans. Again, we should reiterate this is not designed for consumers and as yet there's been no concrete details about when everyone will be able to own one. The company did recently announce a partnership with AT&T and giving people the opportunity to see the hardware in action in AT&T stores in Atlanta, Boston, San Francisco, Chicago, and Los Angeles to start with. So now it's here it's over to the devs that are eager to splash the cash to start showing off just how good the tech is. We might have to wait a few months to find out, but we're keen to find out if the massively hyped tech is the real deal.